We finally got DTC today!! Woot, Woot! Our home study was finally completed and notarized, and the dossier process is complete…the documents were sent to China today. Next stop: LID! Love Without Boundaries has had a fantastic series recently about the changing face of adoption in China. These articles were really helpful for me in understanding what is going on in China right now. If you are in the process of adopting from China, I would consider these posts to be a “must read”! I find the LWB site to be full of excellent information, but very hard to search. Their search box doesn’t always pull up the relevant content the way I would like…so I am also going to link a few more articles here which I haven’t read yet, but which I believe I will want to read later as we get closer to finalizing the adoption. I also watched a wonderful show on Netflix instant streaming recently called The Lost Girls of China, with Lisa Ling. It follows some families on their Gotcha day, and is very touching and encouraging. If you have Netflix, take 45 minutes and watch! It’s great. We haven’t yet watched Wild China, which is also on Netflix instant, but it is on our list. This series has gotten good reviews, and it is one that I think the kids will enjoy, too. It feels like I have been working on getting our Dossier stuff together FOREVER. Our Home Study was approved at the end of November, and I spoke with Lifeline on November 12th about what I needed to do to get the dossier together. Honestly, I am not sure where things broke down, or why it has taken me so long. We went on vacation in November, and much of December was taken up with our whole family getting sick and then the holidays. It all kind of messed with my “expedite things” plan. We did do some things along the way, like get our biometric fingerprints done and turn in our i800A forms, fill out our child desired form, etc. Important things. But it just seems like all the little nitty gritty things for the Dossier, such as printing family photos and mounting them and completing those last few forms took me awhile. But it is done! I finally mailed everything priority mail to Lifeline today! 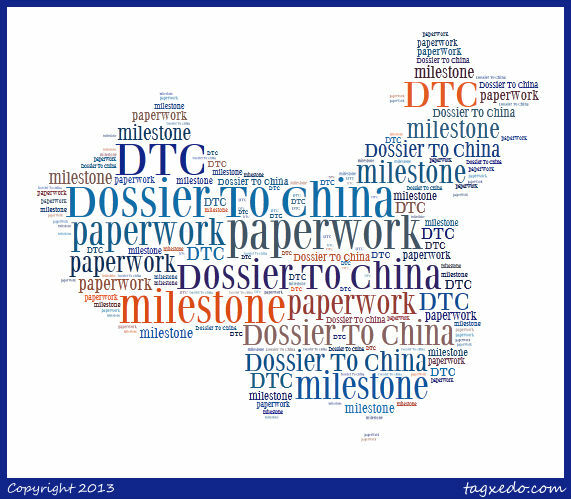 One step closer to being DTC…Dossier To China! Last year our family watched a life-changing movie. We decided to show Rescued: The Heart of Adoption and Caring for Orphans at a prayer night we were holding for friends who were in the process of adopting. Little did we know the Lord would use this movie to cause our family to begin praying about adopting. Rescued: The Heart of Adoption and Caring for Orphans – Trailer from Rescued The Movie on Vimeo. James 1:27 says that “Pure and undefiled religion before God the Father is this: to visit orphans and widows in their trouble, and to keep oneself unspotted from the world”? Rescued explores how the church can come alongside families who are adopting, as well as the role that adoption plays in fulfilling the Great Commission. This movie would be great to watch as a family, but it was even more exciting to watch it with friends. Several families gathered together to watch, and then we prayed for the family who was in the process of adopting. We were also powerfully impacted by the movie Grafted. I have put more information and links about Grafted in this post. Our family loves listening to Voddie Baucham sermons. He is not afraid to speak his mind boldly, and he backs up everything with the Word of God. 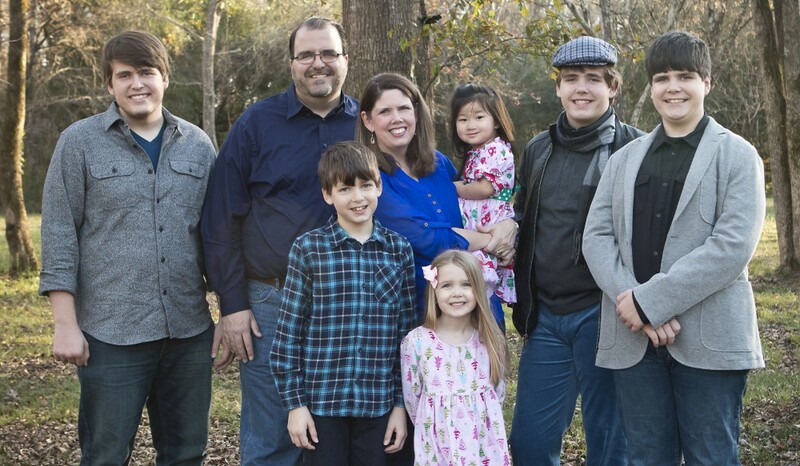 He and his wife have adopted several children, and we found this free sermon to be compelling and challenging regarding how Christians should think about adoption. I appreciate that pastor Baucham is not afraid to confront our unbiblical fears and presuppositions in his sermons, and this message is no different. I love to hear the hard-hitting truth! I could hardly put this book down. It made me laugh and cry, and I found it to be inspiring, touching, and theologically rich. In addition to giving me a greater heart for adoption, this book gave me more appreciation for the beauty of the Gospel. Moore demonstrates that adoption is all over the Bible, something I hadn’t really seen before but I recognize it now that I am aware. Moore challenges Christians that because of our adoption in Christ we have more reason than anyone to be involved in adoption. If you want to read one book about Christian adoption, pick this one! Lisa Winton interview: Lisa Winton is the mother of the teenage boy who produced the movie Rescued, and she is an adoptive mother, as well. In this interview, Lisa shares openly about adopting two special needs children from the U.S. foster care system. Her testimony of God’s grace amidst struggle is challenging and uplifting. Jan Bower is a favorite illustrator of mine. This beautifully illustrated children’s book tells a story of international adoption and would make a lovely present for an adoptive family.